A quick Google Maps search will determine whether your chimney can or can’t be raised. We will be able to provide you examples of jobs that we’ve completed with chimney’s raised in Brisbane and we’ve even slid houses and chimneys from one position to another. There are some careful planning requirements that need to be made in order to ensure the rise and sliding of a house with a chimney is conducted in a safe manner. The end result should be your house in a new position with the chimney in tack. Contact us early in the planning process so that you get the best out of your chimney repair or chimney renovation in Brisbane. Not all chimneys can be salvaged, but the majority of them can be. If your chimney is un-salvageable then our expert chimney contractors can build you a new one. The benefits of a new chimney in your newly renovated and raised house means you can have the luxury of a beautiful romantic fireplace upstairs and another downstairs. These can be open fireplaces or gas fitted fireplaces, whichever is your preference. The beauty of gas is that there’s no firewood to be chopped, but where’s the fun in that? 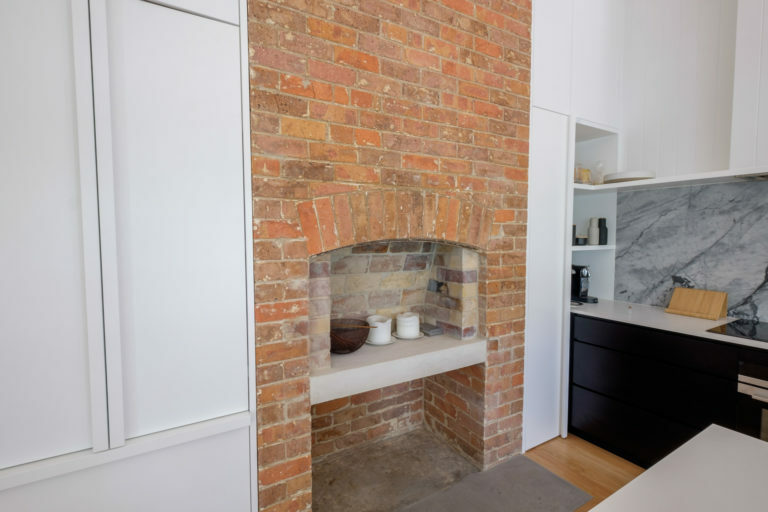 ​Renovation, restoration, extensions and repairs on Brisbane homes is what we specialise in and as a result, we’ve had extensive dealing with chimneys when raising houses. If you have an interest in raising your home, please contact us to provide you with the necessary information to get started. Our Building Design team are tremendously experienced in this area of work and I am sure you’ll enjoy the journey with ACM Constructions. Can I raise a brick house in Brisbane? The questions have come up. If you can raise a house with a chimney, does that mean that you can raise a brick house? Lifting a brick house is a very different process of lifting a chimney inside a timber house. It may be shown on television in the United States of big masonry structures being moved from one location to another, but in Australia, it’s usually not economical, and for this reason, the house raising gear in Australia is not suited to that kind of weight. Second story extensions can be another viable way to create more space in your brick home. Essentially, it’s a matter of removing the roof and then building a second story on top of the existing house. Providing your existing foundations are solid you will have no problem in achieving the extra room. Our building design team is fully equipped with the necessary knowledge of tackling the add-on top extensions. A single story extension is the most cost-effective and quickest solution to creating more space in your brick home. Under this scenario, it’s a matter of extending a section of the house. This can be done in any number of ways. For example, you could do a super modern approach, really setting the extension apart from the existing house or more simply tying the extension into the existing architecture of the home. Either way, ACM Constructions have experiences in Brisbane extension builders and will be able to assist. Lastly, there’s always the option to knock down and rebuild. ACM Constructions are Brisbane’s best custom new home builders (as judged by us). Seriously though, we pride ourselves on our custom new home builds. These are houses designed and built specifically for you. We would attend site with our design team to discuss a concept and budget. After preliminary figures were provided to you, you’d make the decision to proceed with working drawings. Once these were finalised, ACM Constructions would provide you a fixed price quote for your new home build in Brisbane.